For those of us buying our first home it is worth remembering that there are additional charges and fees to be incurred when doing so. Many people think, and wrongly so, that these fees and charges are incorporated into the mortgage but this is not the case. Here we look at these fees and charges and examine how and when they need to be paid. When you employ the services of a financial advisor you should be aware that at the end of the mortgage process he or she will invoice you for their time and also for the range of services they have carried out on your behalf. Your financial advisor, if you decide to use one, will put together what is known as a ‘package’ for you. This ‘package’ is basically an application pack that he or she will use for your mortgage application or your joint mortgage application if you wish to enter into a mortgage with a partner. Contained within this ‘package’ are details of your income, your outgoings, your credit history, details of the property or properties you are interested in, as well as proof of identification and details of any property you may already own. You may wish to pay your fees to your financial advisor after a certain amount of work has been carried out or you may wish to wait until the mortgage is in place and then pay the fees. Most financial advisors will receive money also from the mortgage lender on a commission basis but this does not affect the fees that you will incur for their time and services carried out. To this end you may pay something in the region of £1000 but this is very much dependant on your financial advisor. As each financial advisor operates differently – and most are self employed – it is worth while asking about their fees before entering into a business agreement with them. 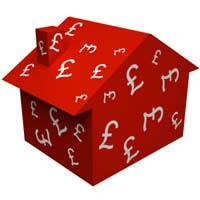 You will also have to cover the cost of solicitor’s fees at the time of exchanging contracts. Mortgage lenders take it as read that you will have buildings and contents insurance on any property you wish to buy and before any mortgage is completed the mortgage lender will ask to see proof that such insurance has been put in place. This insurance not only safe guards you should anything happen to the property such as fire, demolition or structural damage, but also safe guards the mortgage lender as well. Not only will you have to provide proof of this insurance being in place before the mortgage is completed upon, but you will also have to ensure that you have all policies in your possession. You can choose to sort out this insurance yourself or you can have your financial advisor do it for you. It is worth noting however that if you choose to have your financial advisor do it he or she may simply opt for the mortgage provider’s insurance which may not be the best policy to have. You will have to have land registry and title searches carried out on any property you wish to buy to ensure all is in order. You will have to pay for these searches as well although you can have your financial advisor or solicitor carry them out on your behalf. During this time you will have to pay for a surveyor to check over the property you intend to buy to ensure that it is in a condition that is fit for habitation and also to determine whether or not the asking price is correct. In all cases you should try and establish where possible how much the fees will be and if possible pay them as you go, making sure to keep copies of all invoices and receipts. Before entering into any agreement with a financial advisor or mortgage lender it is wise to shop around. Many mortgage lenders offer fee-free mortgages but you should be aware that these do not always apply to individuals seeking mortgages with adverse credit.